The Textured Tangle Jr is bumpy and groovy. 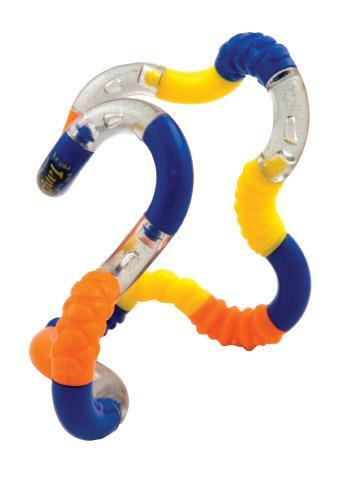 Provides lots of tactile sensory stimulation, making it fun to touch and explore with your fingers. Extends to 7" when uncoiled. Color varies. Dimensions: Coiled - 2" x 1.5" x 2"
Texture Tangle was good fun, however I was imagining it being larger which was disappointing. I should have read the sizes!